An engaging account of the journey of coal, and its significance in India's history, economy and politics. In July 1943, if Subhash Chandra Bose's Azad Hind Fauj and the Japanese divisions had launched a combined attack on India's Northeastern states, the British would have been hard-pressed to defend them. Reason: a massive flood in the Damodar River had disrupted coal supplies, apart from washing away the rail lines. The British pressed into action tens of thousands of labourers - men, women and children - to get the coal mines working again so that supply lines could be resumed. Luckily for the British, the attack did not come when they were most vulnerable. And thus, disaster was averted. That's the story Subhomoy Bhattacharjee starts with in India's Coal Story: From Damodar to Zambezi. The book could have easily ended up as an exhaustive but dull story of a crucial energy resource had the author not been determined to make it a lively tale. 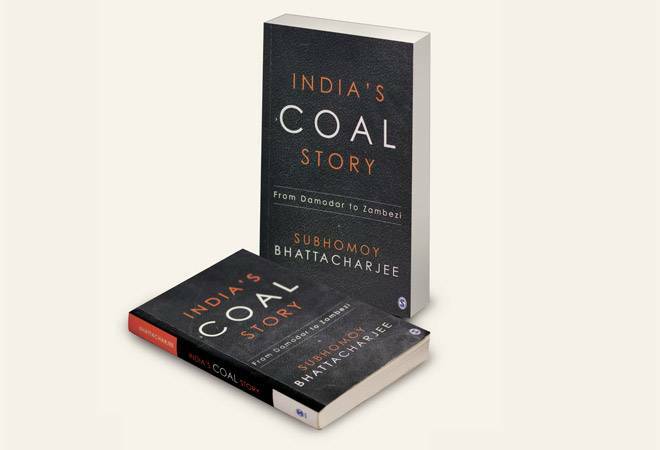 The details -in fact, micro details - are all there, but Bhattacharjee pulls out all the stops by bringing out in vivid detail the life and times of each person involved in the coal business from when it started being mined commercially in India. He starts off with the tale of Prince Dwarkanath Thakur (Tagore) - the grandfather of Rabindranath Tagore - a rich man who realised he could become richer by getting into coal mining and supplies. Coal was needed in abundance by the huge steamships transporting opium to China and Southeast Asia, but most did not carry enough coal from England to go beyond Calcutta. Dwarkanath's company - Carr, Tagore and Co - quickly dominated the business, at one point controlling over 70 per cent of the supplies. It used strong-arm methods to ensure its interests were protected against rivals who wanted a bigger share of the business. Coal has always had a way of engrossing interesting people. It attracted entrepreneurs like Ramji Chawda of Gujarat, Sir Dorabji Tata (because of his interest in steel production), the infamous Surya Deo Singh, colourful businessmen like Manoj Jayaswal, former Indian Davis Cup captain Naresh Kumar, among others. From the Jindals to the Birlas, everyone dabbled in coal at one time or the other. Perhaps, coal never caught the imagination of writers as much as crude oil did, but Bhattacharjee does a fine job of rectifying that. He discusses the politics and history of coal nationalization - a partial effort under Nehru and full-scale nationalisation under Indira Gandhi - and also the denationalisation effort, or privatisation, that started slow and gathered pace eventually. The author discusses the various scandals, black marketing and the CAG report that blew the lid off what came to be known as 'Coalgate'. He links up these pieces in his final chapter on India's energy ambitions. It is an extremely readable book with impeccable research and a wealth of detail backing up every tale. Coal is losing steam as the clean energy movement gathers momentum, but it is still important. Bhattacharjee does a good job of recounting its role throughout India's history since the British era.